Worms are easily preventable. You should worm your pig approximately every 3-6 months, or a schedule your vet suggests. Here are a few products that you can use specifically for pigs. Mites come from other animals. They are carried by squirrels, raccoons, other pigs, dogs, cats, etc. They tend to be worse during wet, warm weather. They can also just be carriers on your pig and will not any effect until your animal is stressed. Our vet states mites can live dormant beneath the skin until stressful times or change. Such as a new home, new family, adding another pig or pet. Your pig will leave here with 2 treatments for mites. This does not mean that an outbreak of mites will not happen due to change. Mites are treated with Ivermectin. The best way to administer Ivermectin is through a shot. However since most people are not comfortable administering shots, you can give it to your pig orally. There are many different brands of Ivermectin, below are a few of the more popular brands. To administer orally, you must measure it based on weight. For an oral dosage you should double the recommended injection dosage. Just add it to their food, or a spoonful of yogurt. You will need to give Ivermectin twice, 10-14 days apart, to kill the mite life-cycle. 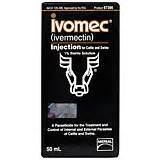 Ivermectin takes a few days to to start eliminating mites. To start immediate relief you can give your pig a bath in Permethrin 10% (used in combination with Ivermectin). 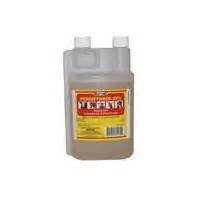 Permethrin can also be sprayed in sleeping areas & cages.